Do you remember your 10th birthday? Probably not. 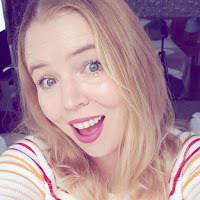 I am pretty sure I can't remember much of mine, although it could have been the year I had a sleepover, watched My Girl and sobbed my eyes out! 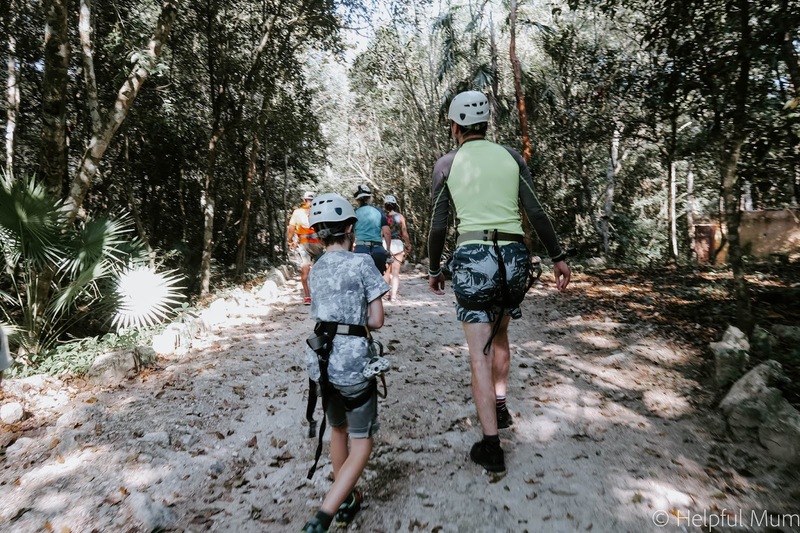 My son however, he got to spend his 10th birthday in Mexico, on ziplines through the jungle, swimming in underground cenotes, snorkelling with turtles and spending time in a natural outdoor aquarium. 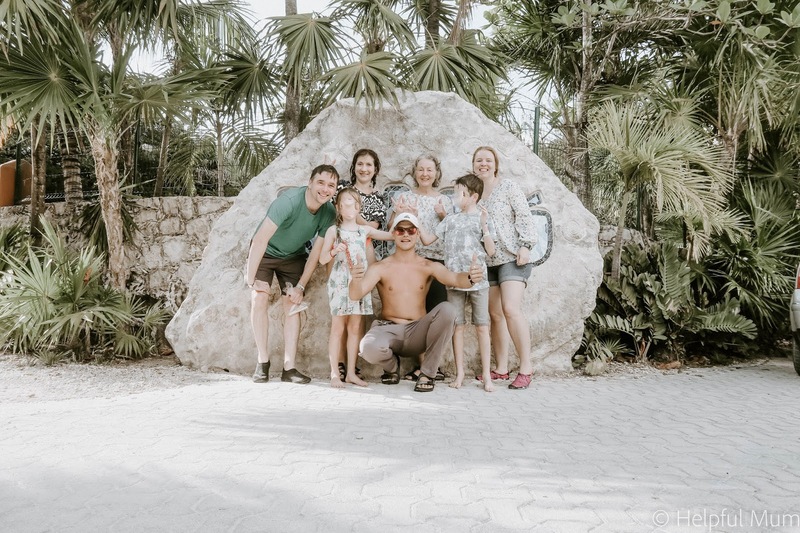 We booked the Xtreme tour through Edvenure Tours, a tour company based in Tulum. We were picked up from our hotel at 7am, a very early start, which my son loved as he would get up that time every day if he could! We were driven to Tulum, where the company is based. It's a large site, with a shop that you can use the toilets in. We were kitted out with everything we would need for the day. They provide round trip transportation, an ATV, snorkel equipment, entrance fees, lunch and drinks, a guide service, wetsuits if needed, torches and there are also prescription Snorkel Masks available. From there we set off to Selva Maya Eco Adventure Park for the ziplines! There isn't much that you need to bring for the day. 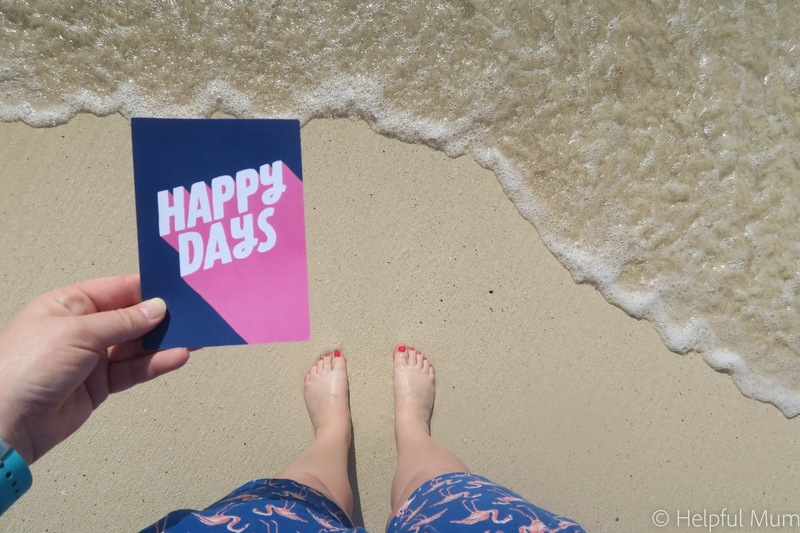 The following would be useful though, camera, towel, water shoes, money for tips or souvenirs, biodegradable sunblock (you can buy this at the Tulum base for $10, which is what we did), swimming suit, change of clothes and possibly sunglasses. When we arrived at Selva Maya, we had to fill some forms in before the ziplines, then we headed into the jungle in an ATV, with my sister driving! 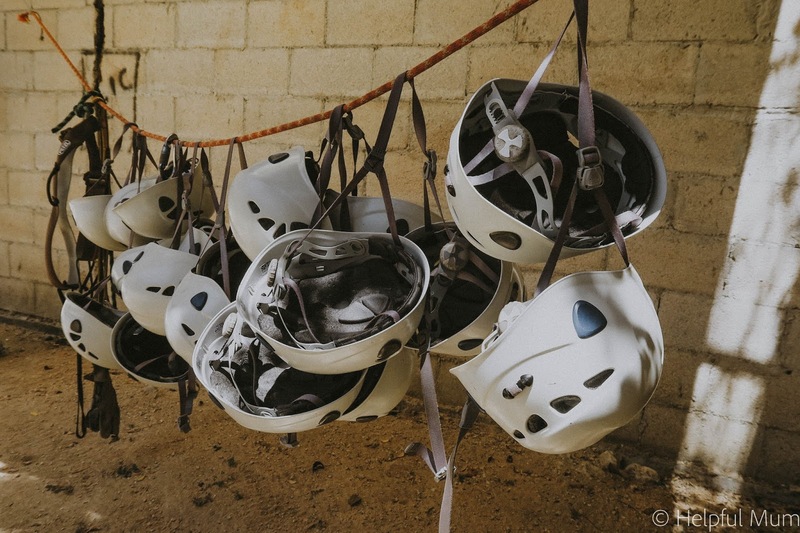 We were then kitted out with our harnesses and safety helmets and given a talk on safety before heading out to the start of our zipline adventure. 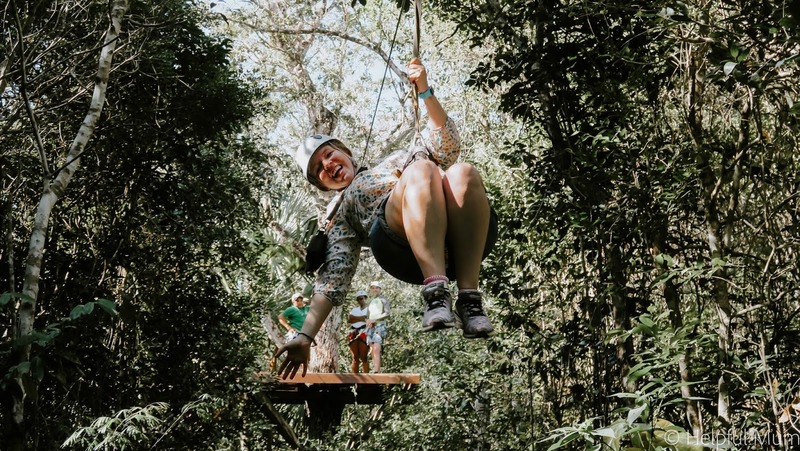 Selva Maya Eco Adventure Park includes nine different ziplines, five suspended walking bridges, rock climbing and rappelling (like abseiling). The guides on this part of the tour were completely reassuring. 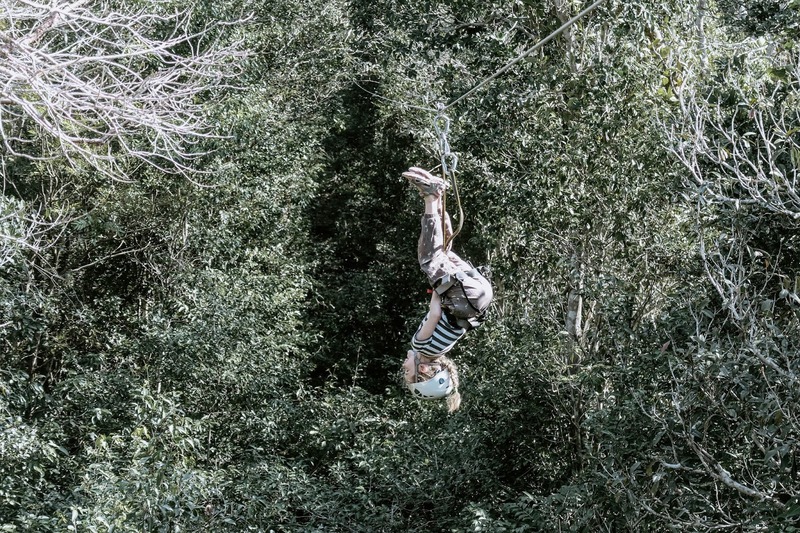 they made sure we felt safe at each point, and gave us a different challenge on each zipline. 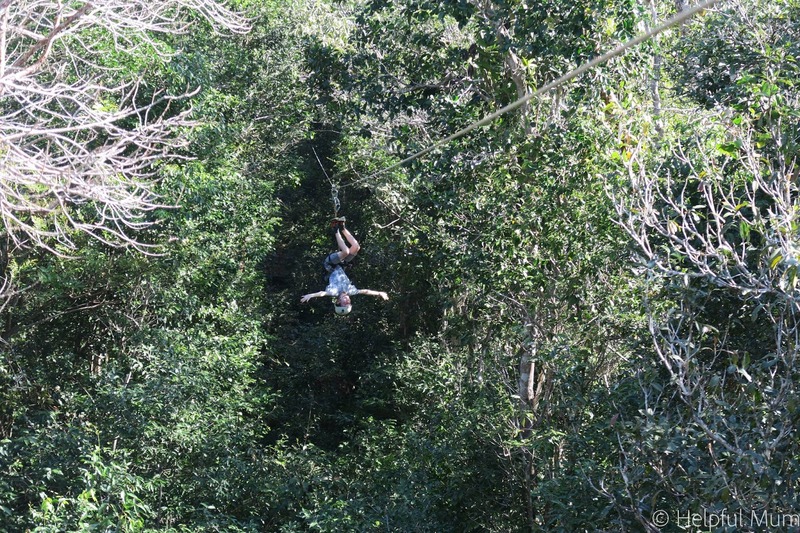 Never in my life did I ever anticipate that I would zipline upside down, or jump off backwards from a platform high up in the trees! We felt safe at every single point of the ziplining. We were always attached to someone else, or a wire which made us all feel really comforted. Neither of my children have any fear though, and they are always the first to throw themselves off things from great heights! I am a little more nervous. To see my mum flying through the jungle on a zipline was absolutely one of the highlights of the holiday, she absolutely loved it! We were there as a family group of six, myself, my husband and our son an daughter, my sister and my mum, three generations all flinging themselves off the same platforms! I have to admit that I wasn't particularly looking forward to the next parts of the day, swimming in cenotes. I'm not particularly fond of water or caves, so the two combined were not my idea of fun. We had life jackets on for this part of the tour. The outdoor cenote was beautiful and both children had so much fun jumping into it from the platform. It was amazing how deep it was in places. 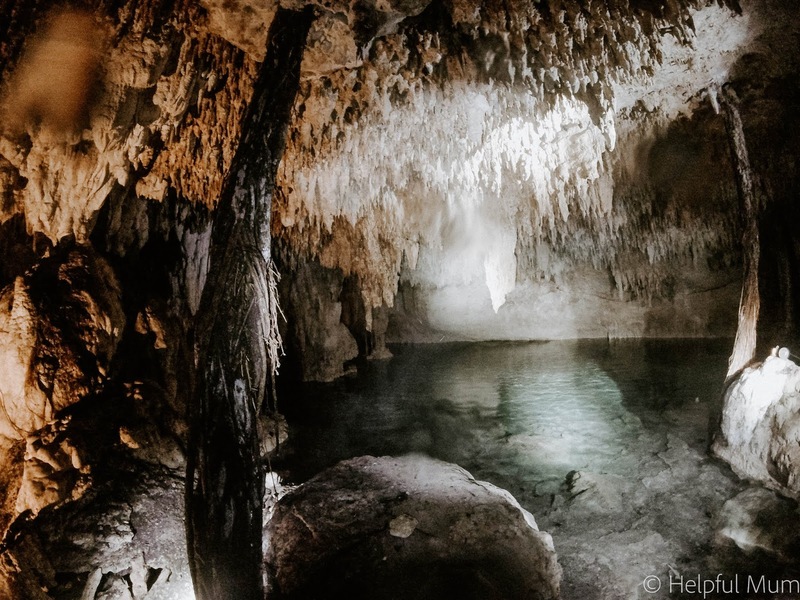 After the outdoor cenote, we walked a short distance to the underground cenote. Descending the steps into the cave was magical and I struggled to comprehend how large a cave it was even though it was underground. It was amazing. There are bats living down there, and we all really enjoyed seeing them fly around. We needed torches for this swim, and were provided with them. Mike made sure we clipped them on to our life-jackets so we couldn't drop them into the water. 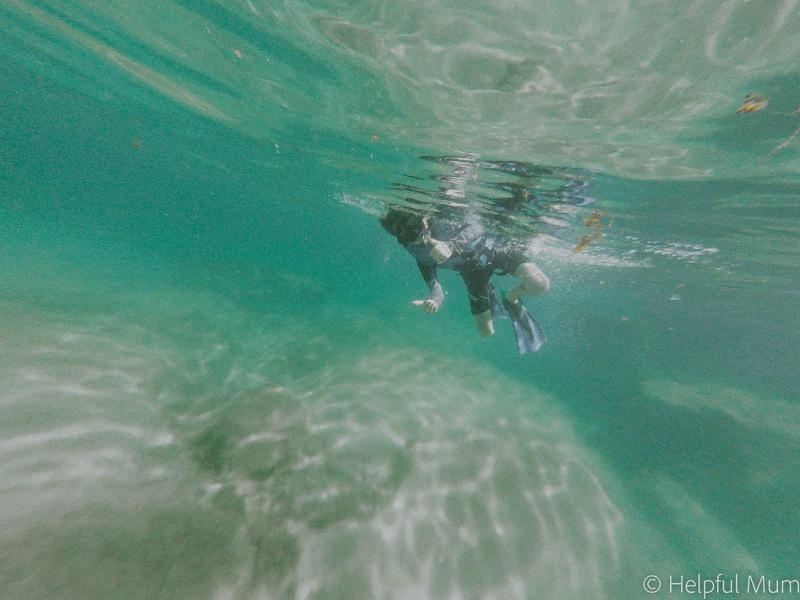 I wasn't brave enough to look through my snorkel under the water at the time, but I am so pleased I took the GoPro so that I could see what was underneath us. 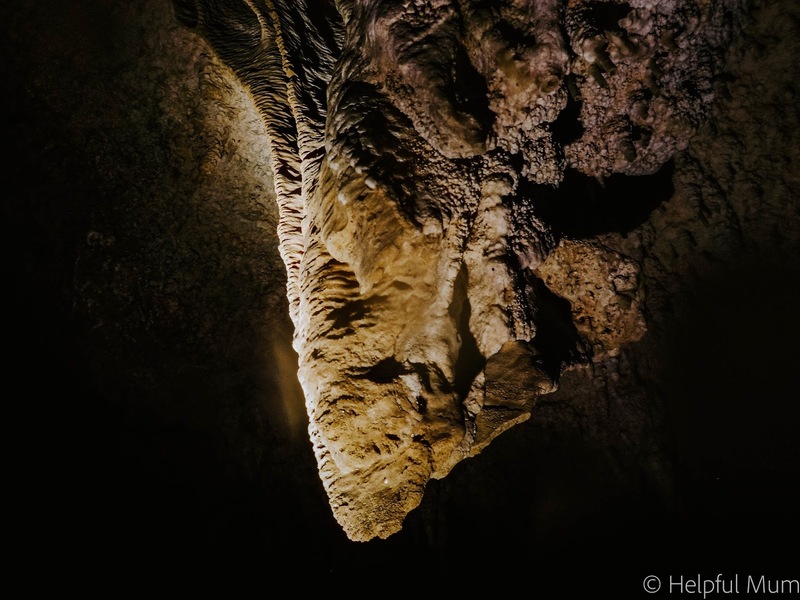 It was a spectacular cave. It was a little chilly, but adrenaline gets you through without feeling cold. Mike was brilliant and took my daughter around on his back as she was nervous she wouldn't be able to swim properly. I couldn't get my head around the way the tree roots grow underground, through a cave and into the earth below, totally mind-blowing! Lunch was absolutely delicious. It was a traditional Mayan meal which was simple (tacos, meat, veg and rice), but really yummy. The food was also gluten-free, with a vegetarian option, which was perfect for my mum. At an additional cost, you can book a birthday cake. We asked for one for my son and genuinely it was one of the nicest cakes I have ever tasted. 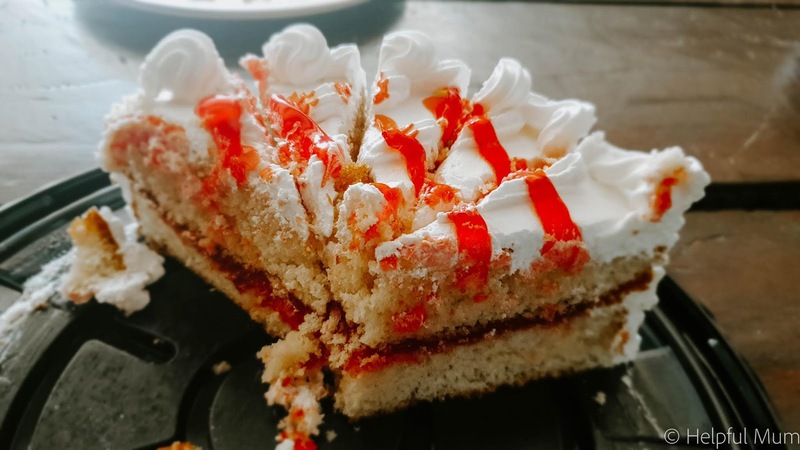 It was a Tres Leches Cake, a Mexican milk cake which is really light. The cake was huge, so we shared it with the group who we all eating lunch with us. Mike made us all giggle by pushing my son's face into the cake after we had all sung happy birthday to him. It was definitely something my son will always remember! After lunch it was time to head back to the entrance to Selva Maya in another ATV. I decided to drive this time, which might have been a mistake, as the vehicle broke down on me! It definitely added to the adventure and Mike sorted it all out really quickly! We were then back into our minibus for a short ride to the bay where we were going to swim and snorkel with sea turtles. This was without a doubt the part that all of us had been looking forward to. 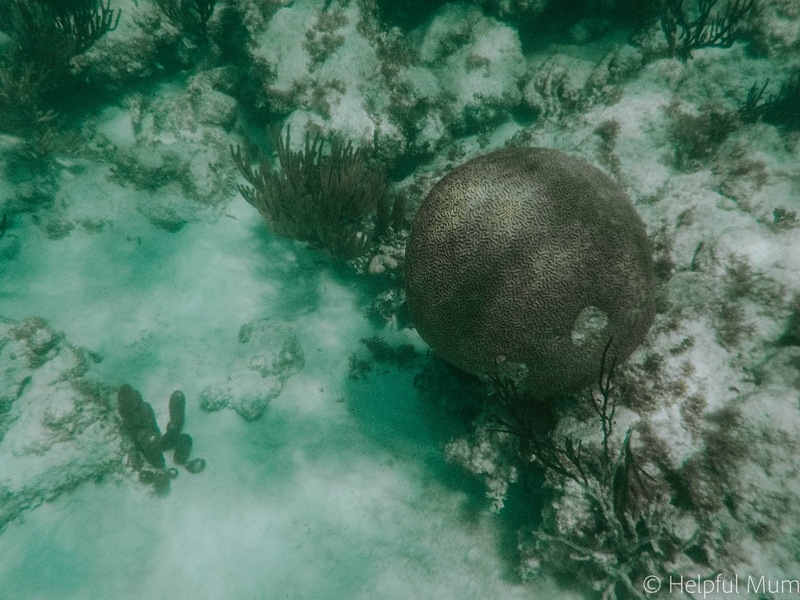 The sea was relatively calm when we were there, which meant we saw some amazing marine life too, including this brain coral, which was huge! 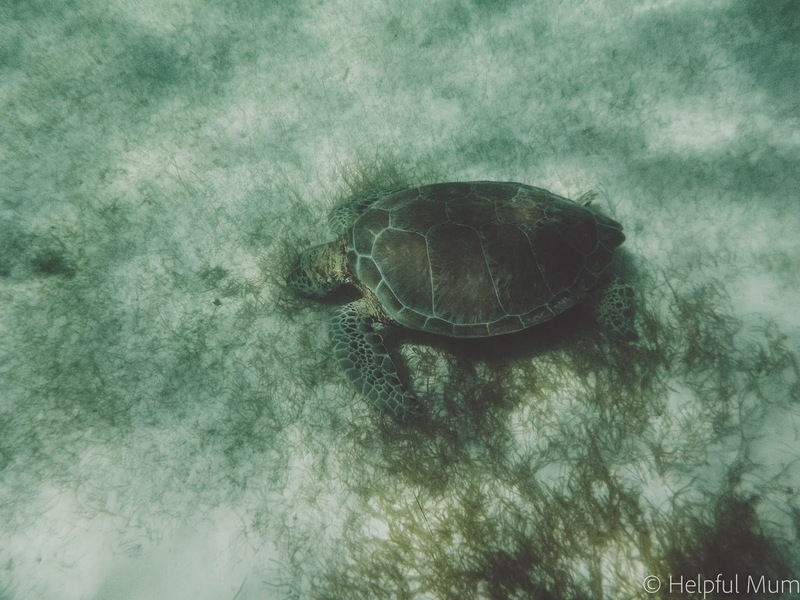 Seeing the turtles gliding effortlessly through the water was incredible. I had no idea that we would be so close or see them so clearly. Only a certain amount of people are allowed in the water at any one time and the number of people permitted to swim with the turtles is limited to a daily amount. It's the turtle's natural habitat and we don't want to damage that for them. We saw five turtles during our swim. It was one of the best experiences of my life and I will treasure the memories forever. Then we nipped back to the minibus and and then headed on to Yal-ku Lagoon. This is an inlet from the ocean which you can snorkel in. 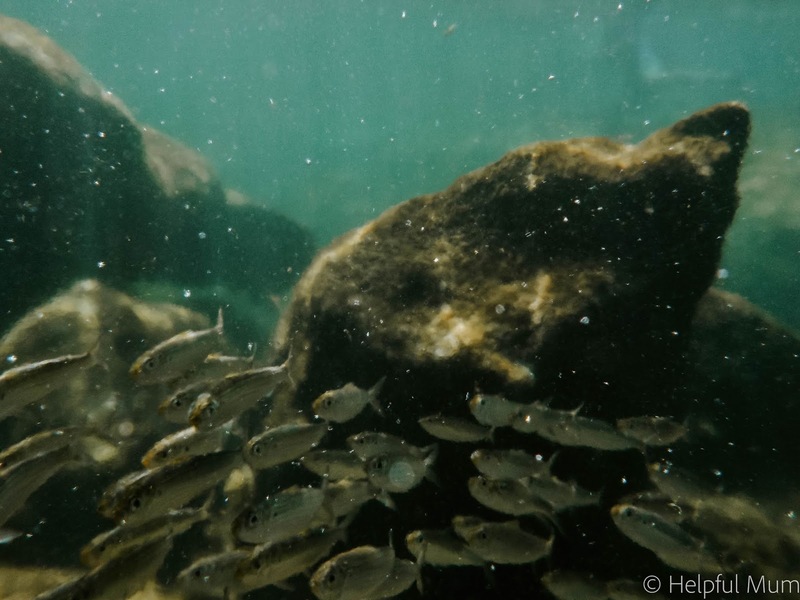 It's a natural aquarium, full of tropical fish where the river meets the ocean. We were lucky to see the thousands of sardines which were living there during our snorkel. This was a brilliant way to end to a fabulous day. We showered after the final snorkel and got changed into clean clothes, which felt lik e a huge luxury! This is a pretty-full on tour and you will feel tired at the end of the day. You very rarely stop, but it's worth every second. The next day we were all wiped out, so took it easy. Our guide Crazy Mike was the perfect guide, informing us about the area, nature and Mayan culture all whilst being fun to be around and entertaining all of us. It was a fabulous day with so may wonderful experiences. If you want to see the video of our day, it's just below. To check out the other fabulous tours offered by Edventure Tours, look at their website. The tour we booked costs $165 per person, and for a day you will never forget, it's totally worth it. If we are ever in Mexico again, I wouldn't hesitate to book a tour through Edventure Tours. We really did have the most fabulous day out, and one we will all remember for the rest of our lives. Disclosure: We were provided with this excursion for the purpose of this post. All opinion is my own and is honest and fair.